What do you love more than anything else? For me it’s connecting with people. Old friends, new friends, mentors, family and more. Attending Problogger last weekend reminded me how fantastic meeting face-to-face is especially when you’ve been chatting online for a while. Unless you come across Darren Rowse in a dress?!?! That said some of the strongest connections I’ve made are with people I’ll possibly never meet in real life. It’s too easy to hide your ‘REAL SELF’ online. People try to be someone they think others want them to be. And of course forget that the best person you can be is yourself. So here are 19 things you may not know about me warts and all (you’ll see I wasn’t the brightest child when it came to looking after myself). I hope they strengthen our connection! 1. I wish I had half my father’s sales ability. He genuinely cares about his customers, is always there through any challenges and tells his employer if he feels they aren’t doing everything possible for the customer. I try my very best to do exactly the same but I know I can still learn so much. 2. Having witnessed the trauma of many farming families through a decade of drought (working in agribusiness banking) seeing the now lush green paddocks makes my heart sing. 3. I love, love, love salads and vegetables. My parents never had to bribe me to eat them. 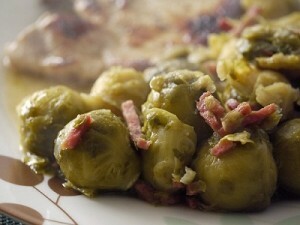 Brussel sprouts, broad beans, the lot! 4. Logans in Warrnambool, a restaurant an hour drive from home town, is my favourite Australian restaurant. No one can resist their beautiful calamari with Indonesian dipping sauce served on a massive, sumptuous salad. 5. My all-time favourite restaurant is in Beaune, France. 6. Apparently you can break your collarbone spinning in circles at Brownies (Girl Guides). Or at least I did. 7. Rolling off the top bunk while hanging out with your cousins isn’t the best move either. Source: Typo Lookbook. How I wish this was mine! 8. My business books and notepads are my most treasured possessions. Except when I had to lift the many full tubs while shifting house recently. Don’t worry…the affection is already restored. 9. It frustrates the living daylights out of me that Australian schools don’t include entrepreneurship as a viable and invigorating option post formal education to students. I’m keen to know if it’s the same in all countries. 10. My business is so enjoyable, challenging and rewarding that I would keep working if I wasn’t paid. Let’s be real though, I like earning money from it too. 11. I’ve taught social media strategies, SEO and Office programs to lots of business owners over the past four years. I always feel enormous joy when a student connects what they are learning to their own lives and realises the benefits. 12. I also understand not everyone loves technology. If you want to learn and implement yourself – great I will teach you. Don’t want a bar of it – that’s ok, I’ll do it for you. 200K+ kilometres on just 3 cylinders. 14. Want to make a mean fried rice or potato salad? You need my recipes. 15. Don’t think I’m a good cook though. I once set an oven on fire. 16. Team sports rock. Try send me to the gym and I’ll moan all the way there, during and back. Offer a game of squash, tennis, netball or basketball and I’ll be first in line. 17. 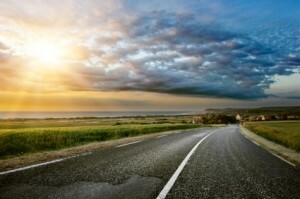 I listen to Smart Passive Income podcasts religiously whenever I have to drive for more than an hour. 18. I drive long distances regularly. It’s part of the ‘living in rural Australia’ parcel. I don’t mind. 19. Continuous learning is essential to my enthusiasm for life. If I start to feel a bit stale I know to kick up the new experiences and skill development again. What are three things I should definitely know about you? ← Blog Comments – Would You Like More? I’ve set fire to the oven on three separate occasions. I was cooking pork each time. I don’t cook pork any more. I love blogging. And I love sharing my knowledge with people. I’m a “professional student”, although I’ve learnt more outside of formal education than inside. Oooh, I’m considering formal studies again for a gap in my skills. I know I could get the learning materials off the web but the accountability of formal study can be helpful. (Of course the associated fees aren’t). Ahhh, three things you should know about me? 1. 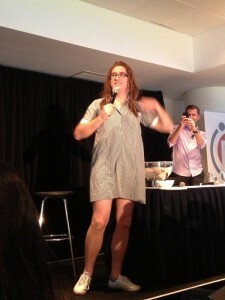 Darren Rowse looks better in a dress than I do. 2. I know all about the long drives! I lived in Australia for 17 years, and one of them was in WA, down Boyup Brook/Manjimup way. Loved the post, Caylie! Thank you for brightening my morning. 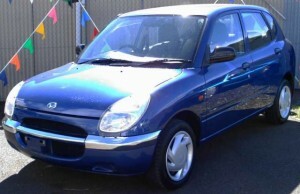 1) I learned about driving distances in Australia when I was there as an exchange student. Was out in rural Victoria and friends asked if I wanted to go the movies, it was over 100 kilometers away. 2) I read The Age online edition each day even though live in the USA. 3) Love Australia, even though I was student there over 35 years ago, my I get back when I can and consider the people I lived with family. Where in rural Victoria was your home for the exchange? I love the 100ks to the movies – typical Aussie suggestion. Thanks for popping by. Be sure to visit again!